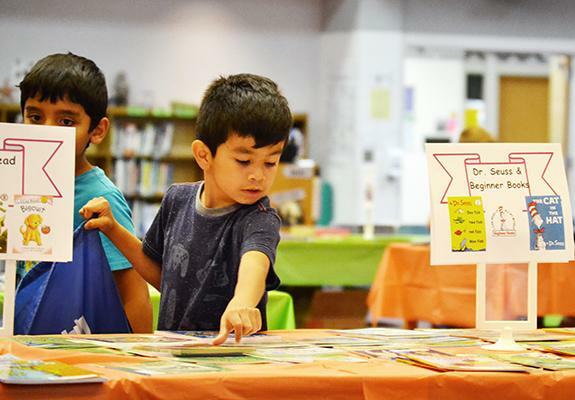 This month Uniting for Good spotlights books to enrich summer reading for kids, creative solutions to hunger, and a close-up look at our collaborative partnerships in action. Dive in and read all about it! 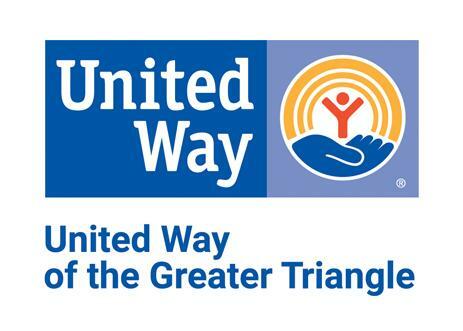 Thank you, United Way of the Greater Triangle partners, donors, volunteers, advocates, and friends for your engagement, encouragement and support over the last five years! We’ve been working together on an important journey to find real solutions to social issues and create brighter futures for children and families in our communities. I’m confident that together, our community will continue to create more pathways to progress. More children will be on the path to early educational success; more youth will have the tools for future success; and more adults will secure better jobs, greater income and financial stability. I believe the Triangle has the resources and community will to improve long-term outcomes and greater social and economic mobility for children and families in low income households. We have smart, dedicated and resourceful leaders and supporters like you. 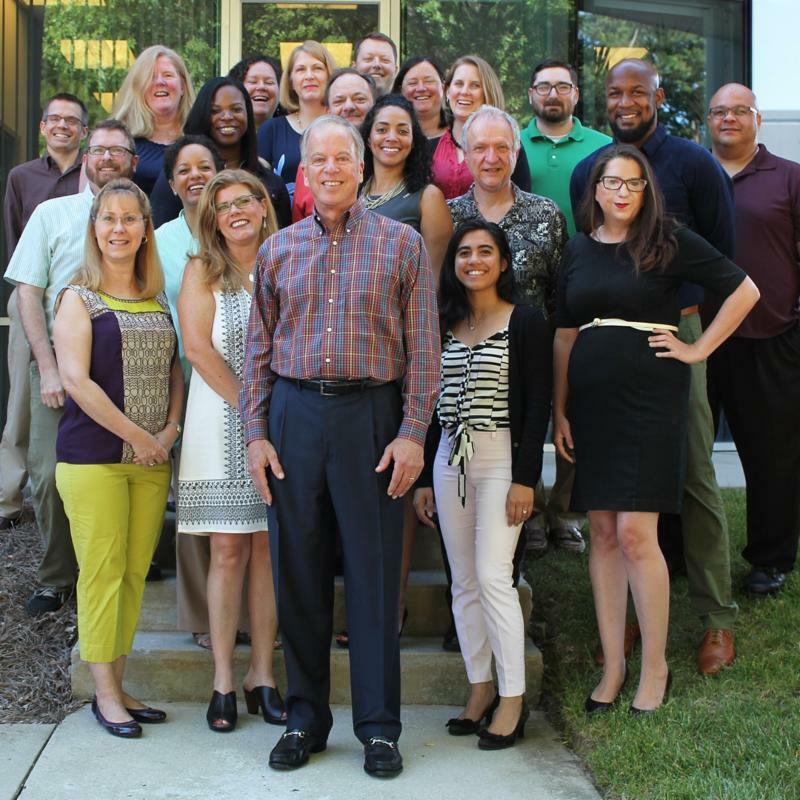 And we have a terrific board and staff team at UWGT to help lead the way! It’s been a pleasure to serve with all of you! Day of Action is right around the corner! On June 21st volunteers from around the Triangle will create 1,500 weekend meal and reading kits for Durham area students. Each kit will contain books and enough food for seven meals for four weeks, and will be distributed through Inter-Faith Food Shuttle and to five summer camps. In order to make this event happen, we need you. Volunteers are still needed to help staff set up the event from 8:30 a.m. to 9:30 a.m. 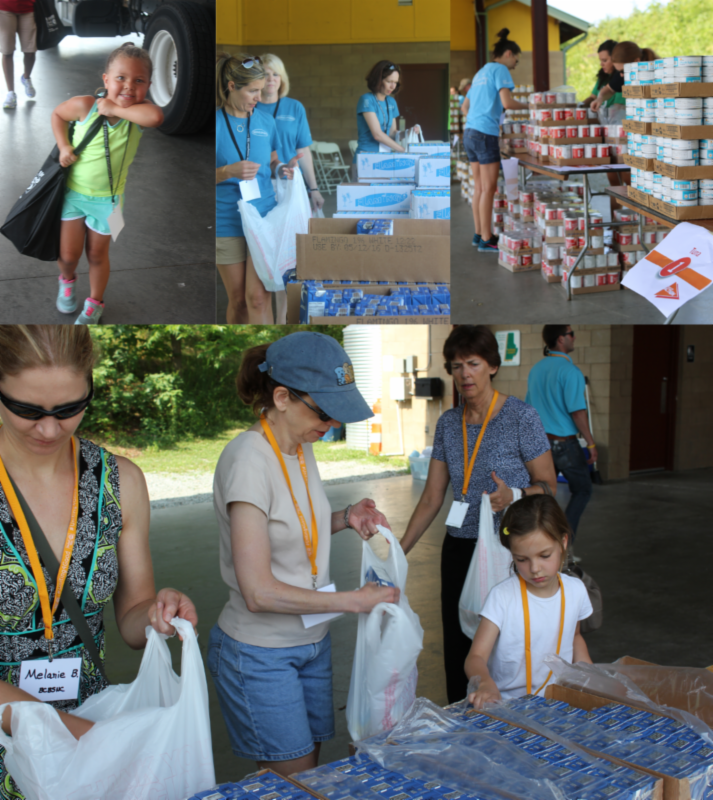 Volunteers will unload food items from the truck and set up assembly stations to create the kits. Join us and help make the Day of Action a success! Click here to register as a set up volunteer. Set-Up When: Wednesday, June 21, 2017 from 8:30 - 9:30 a.m. Meal Packing When: 9:30 - 11:30 a.m.
Register here as a kit making volunteer. Thank you to our Changemaker sponsor Principal for your support of this event! More than 30 campaign leaders from companies across the Triangle joined us on Wednesday, June 7th for our Collaboration in Motion Tour. This year's tour took us to Durham to visit two of our funded collaboratives: The Durham Partnership to End Family Homelessness and East Durham Children's Initiative. 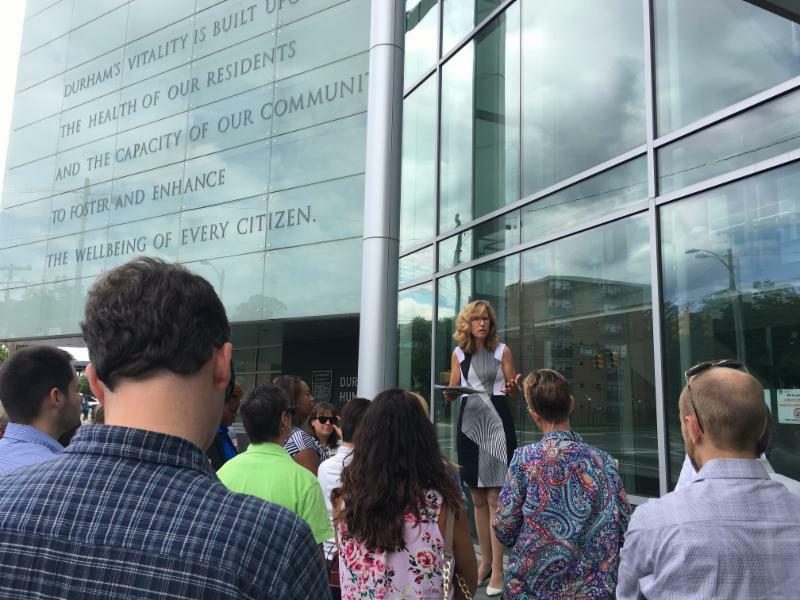 The purpose of the tour was to enable our corporate ambassadors to see and hear, first hand how the Triangle agencies partnering in our 17 collaboratives are coming together to change the circumstances for local families. Wake County Public Schools won the 2016 Social Innovation Challenge with the idea to make students food security leaders. 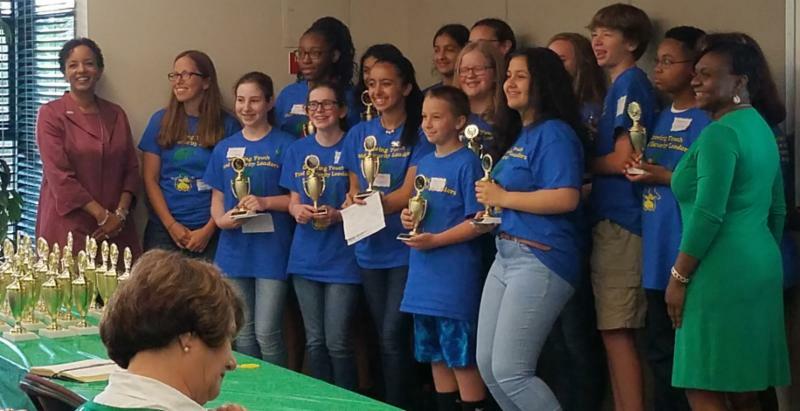 On May 24, middle school students from Dillard Drive, Fuquay-Varina, and Ligon GT Magnet, presented progress on their projects. The program, designed to make youth problem solvers and to build their capacity as food security leaders, began with four week leadership camps at four middle schools located in low-wealth communities in Wake County during the summer of 2016. During the summer camps, 20 middle school students at each site worked with adult program facilitators to build their understanding of the food security challenges at both the national and local level, while also building their skills in literacy and technology, collaboration, communication, creativity and critical thinking. As a culminating project of the summer camp, the youth teams created a project plan to impact a food insecurity issue at their school or in their community. 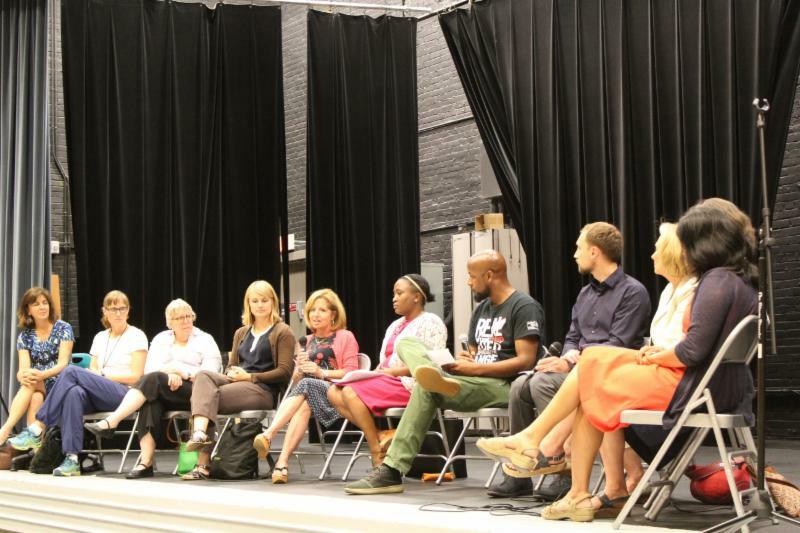 The students then shared their ideas to a group of community leaders to garner feedback and support for implementing their ideas during the 2016-17 school year. The students received $2,000 from our Social Innovation Challenge award to implement their project idea. One group of students reported that what began with 15 families receiving food at Dillard Drive Middle School in November has now grown to 45 families receiving groceries weekly! Students from each school plan to recruit more students for the upcoming school year, expanding their impact to even more families. In May 2016, middle school students at Cary Academy were awarded $5,000 from United Way of the Greater Triangle’s Social Innovation Challenge for their “Bus Stop Food Drop” idea to increase access to healthy meals during the summer using existing school bus stops. Six months later, four Advance Auto Parts teams competed against each other in an engagement known as the reverse pitch. With skills used in their every day jobs- supply chain and transportation logistics- their challenge was to build the most efficient and effective $5,000 program to source the food and distribute it to 60+ students from Reedy Creek Elementary School for the entire summer. Check out why Todd Greener, SVP at Advance Auto Parts thinks this engagement was beneficial for both the community and his team. 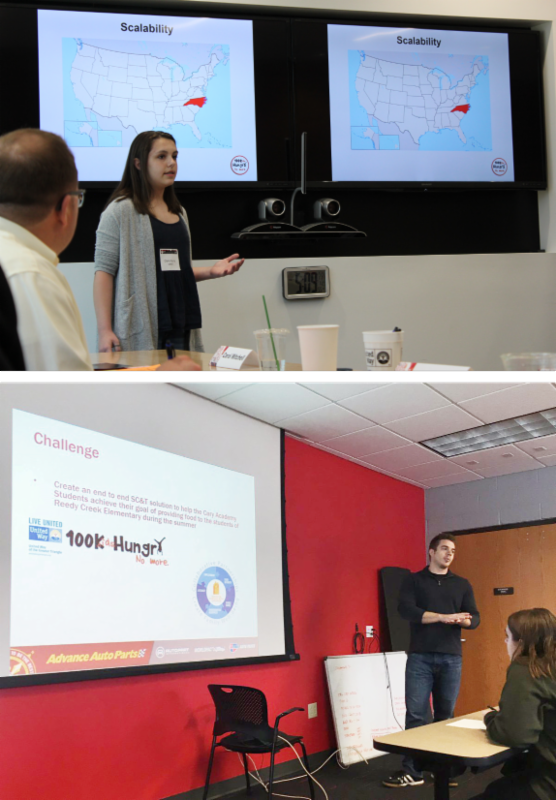 While one team won bragging rights, Advance employees have worked hard since the pitch to integrate ideas from all of the proposals, including holding flash drives to supplement deliveries with additional protein packed items and literacy supplies throughout the summer. Deliveries begin this month with both Advance employees and Cary Academy students volunteering weekly to execute the program. Thank you to Advance Auto Parts employees for sharing your skills to strengthen our community. Lizzie was a college graduate with a Bachelor’s Degree and the editor of her own online magazine. She had a good job and was a single parent successfully raising her 9 year old son alone until she made a decision that got her arrested with a felony drug charge. Having lost her job due to her arrest, Lizzie tried to find a new one but even with many interviews, couldn't get hired because of the felony on her record. Now with no job, Lizzie could not afford after-school care for her son, didn't have money to feed them, and had to move in with her mother. Feeling hopeless she went to The Catholic Parish Food Pantry for help, which was her entry into the Family Table Collaborative. She began with the job’s program at StepUp Ministry where she completed the week long program and graduated. This was the beginning of a life changing experience for her. Through the program she was introduced to other collaborative partner agencies. Dress For Success helped her with her self-confidence and professional clothing. Her son enrolled in the Boys and Girls Club, where he is very active. Lizzie continued to go on interviews and finally landed a good paying job. She went on to complete the second phase of StepUp Ministry and graduated the year long Life Skills program. Through this collaboration she was able to get her life back on track, save money for a car, and now has her own apartment. The family is well on their way to being stable and self-sufficient.